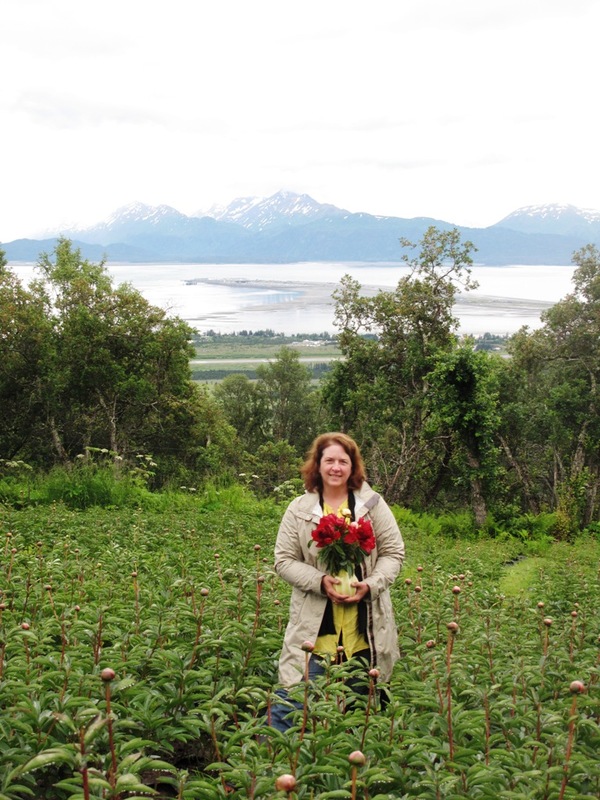 I’m standing in a Homer, Alaska, peony field at Scenic Place Peonies. 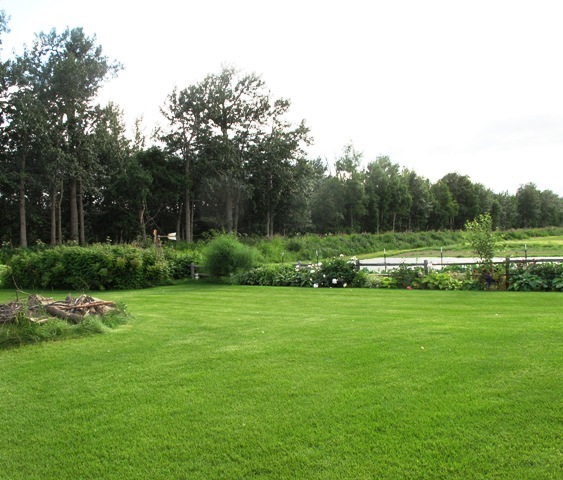 It’s owned by Beth Van Sandt and Kurt Weichhand – check out the views!!! 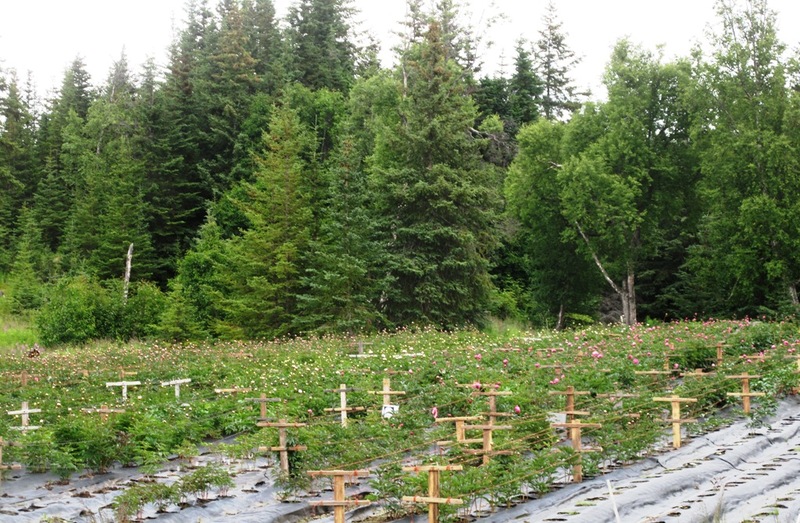 Last summer I visited Alaska and toured about 12 cut peony farms from Fairbanks to Homer – in one week! It was a wonderful trip, made all the more special because of the many cool, welcoming flower farmers I met along the way. 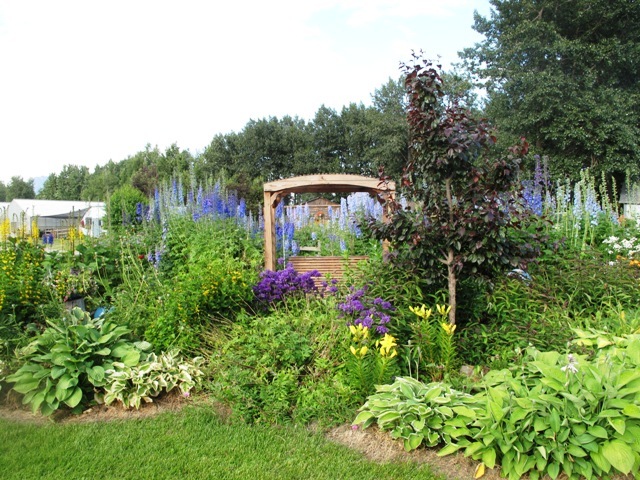 They hosted me for meals, spent quality time walking and talking with me along the rows of robust and beautiful plants, lent me a bed for the night, and generally adopted me into their Alaska Peony Tribe! 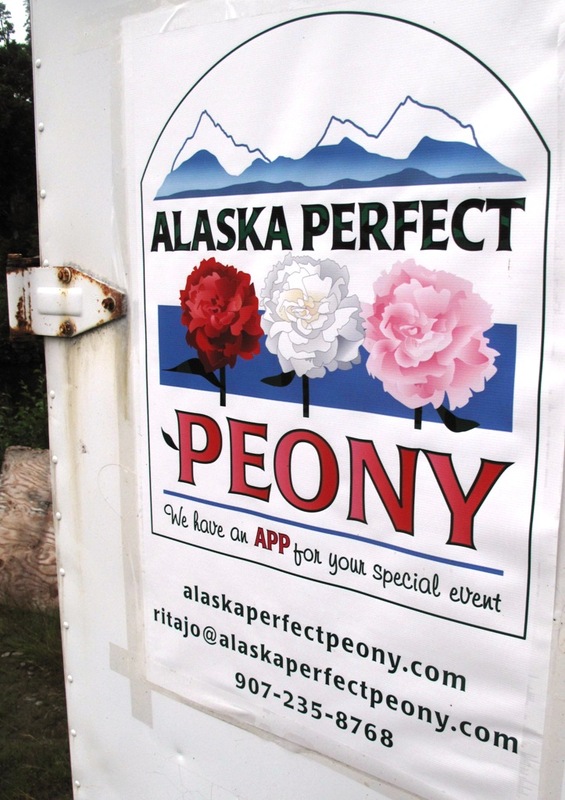 If you want to learn more about the Peony Growers of Alaska and how to order cut flowers from some of them directly, visit the Alaska Peony Growers’ web site. It was a thoroughly freeing time for me as a journalist because I was my own client. No editor gave me the assignment. No publication had their dibs on how the story would be reported. 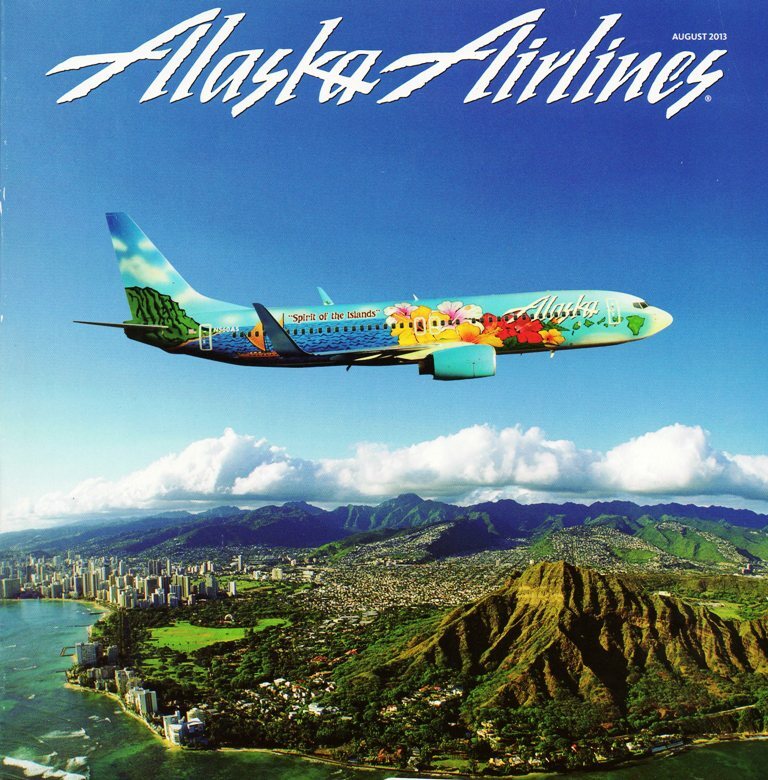 I used my Alaska Airlines’ frequent flier miles to book my flight into Anchorage and then rented a car with another set of airline miles. I made reservations to tour Denali National Park on the first day – mainly because Dr. Pat Holloway, my trip advisor, insisted that I couldn’t just drive past the majestic national park while seeking peony farms! 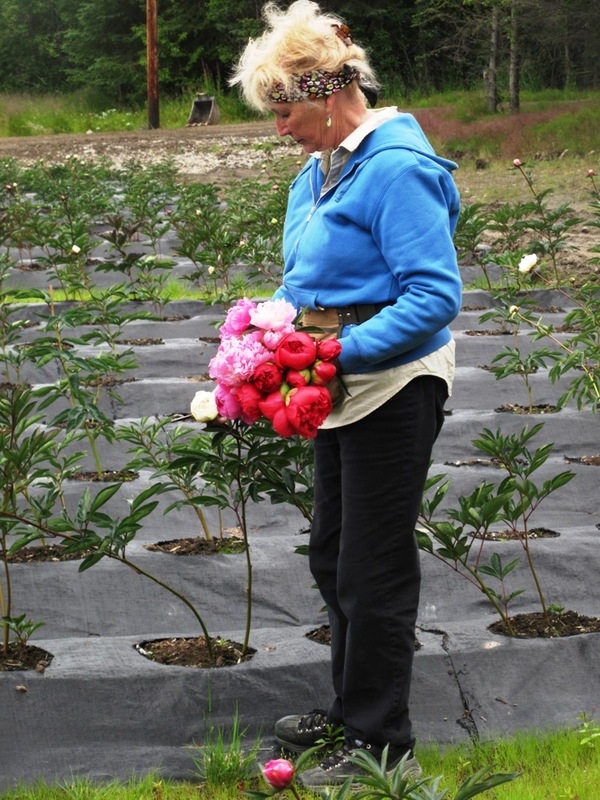 After that first day, I spent the following seven preoccupied with peonies, their cultivation, harvest, post-harvest care and ultimate journey to the hands of satisfied customers. It was pretty sweet – and I can’t wait to get back. I wrote a fun post about the week in Alaska here. Other than selling a *tiny* story about Alaska peonies to Sunset magazine, I am happy to announce that my first big editorial placement appears in the current issue of Alaska Airlines magazine. How fitting! You can read the feature here [PDF]. 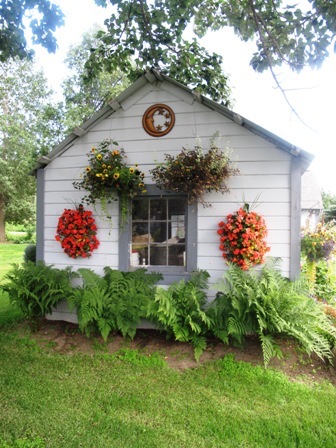 This week’s podcast features interviews with the owners of two farms I visited during my tour. 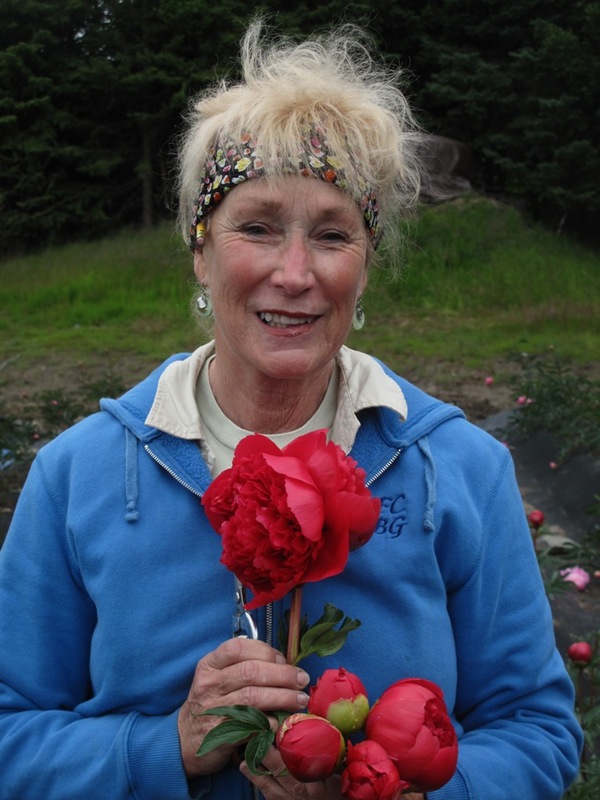 First, you’ll hear my conversation with Rita Jo Shoultz of Alaska Perfect Peony in Fritz Creek on the Kenai Peninsula, one of the first growers to jump in feet first to plant peony roots. 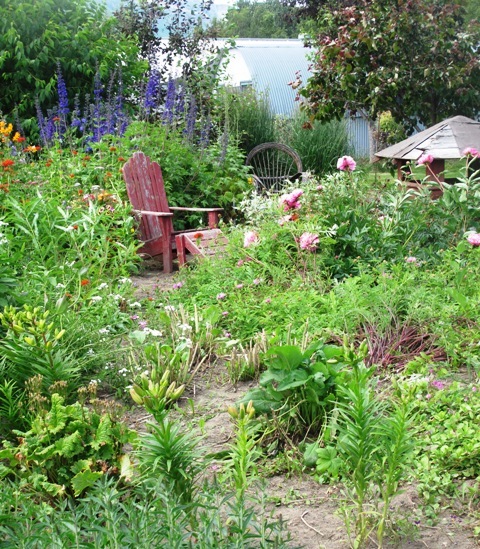 You will hear the sounds of nature around us, as we sat in her garden near the pond to talk. For some crazy reason, Nicco, her cat, was fascinated with the audio recorder’s microphone. You’ll hear a few bumps in the audio, thanks to the curious cat! 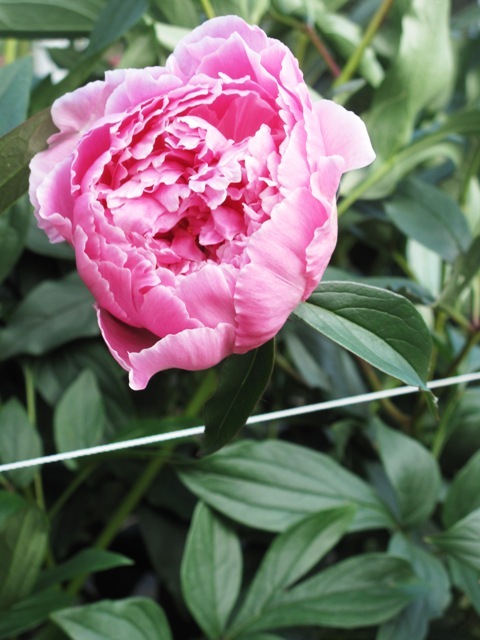 Rita Jo with a double-headed peony that we discovered in her growing fields. Rita Jo harvested a luscious bouquet to show off the diversity of bloom colors. 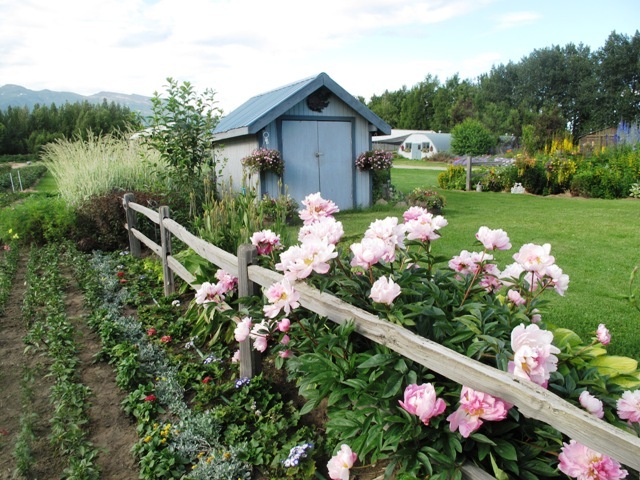 The farm’s brand has mountains and peonies to convey a sense of place. 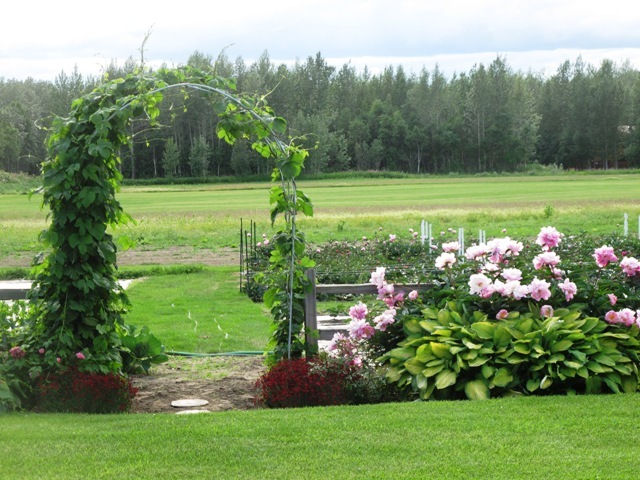 A beautiful shot featuring one of the fields at Alaska Perfect Peonies. 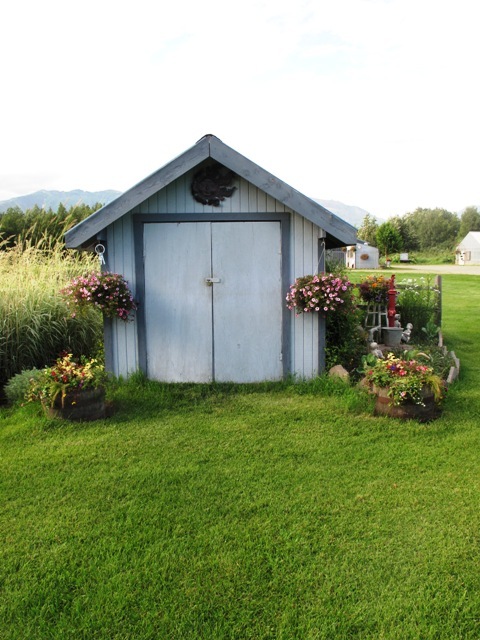 The second portion of this podcast features Kathy and Craige Baker of Gray Owl Farm in Palmer, fifty miles north of Anchorage in the scenic Matanuska Valley. 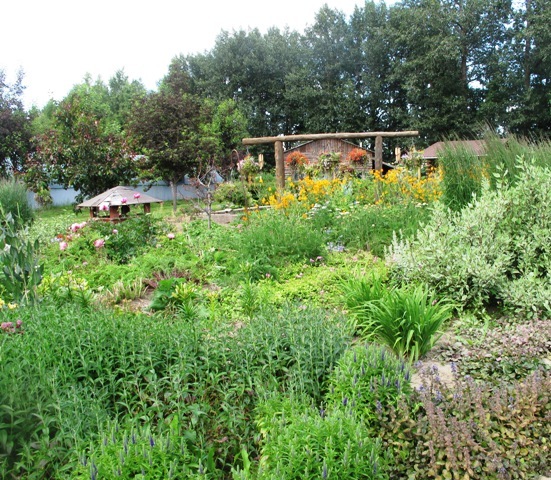 They were named Alaska’s FARM FAMILY OF THE YEAR in 2011! You may hear a fourth voice in the podcast, which is my college friend (and lifelong Anchorage resident) Stephanie Taylor. She spent one day with me during my tour and we had lots to catch up on. It was so fun to have her with me. 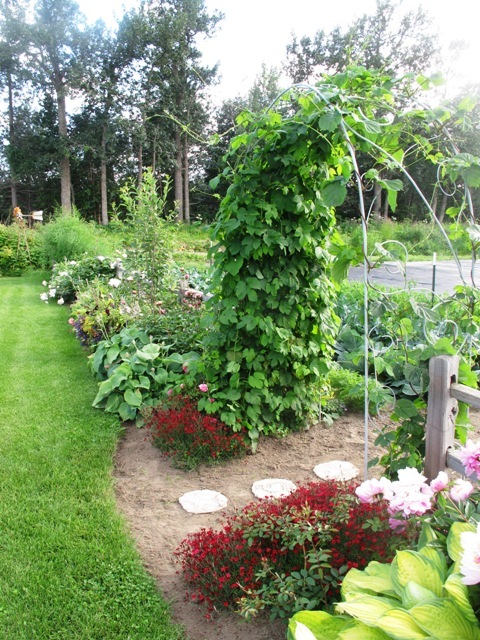 Here are photographs of the beautiful gardens at Gray Owl Farm – please enjoy them below. 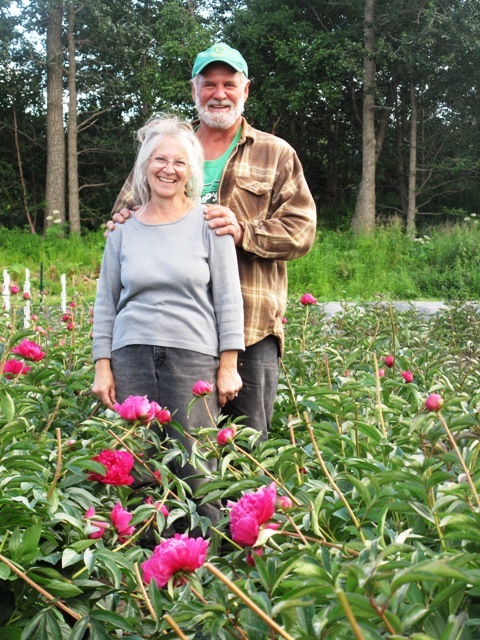 Kathy & Craige Baker of Gray Owl Farm, peony farmers and nursery owners. 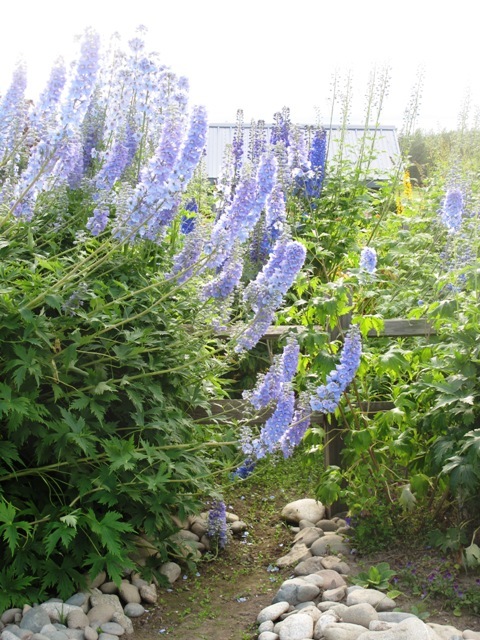 I told you the delphiniums here grow super tall – and so beautiful! Here I am at Gray Owl Farm with my friend Stephanie Taylor. Look how tiny we appear in front of the towering delphiniums! 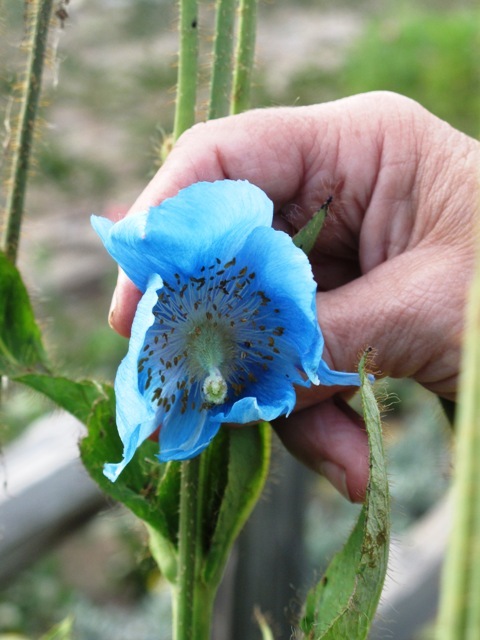 Then there are the Meconopsis – the Himalayan blue poppy. Shockingly blue! More photos. Captions are not needed! 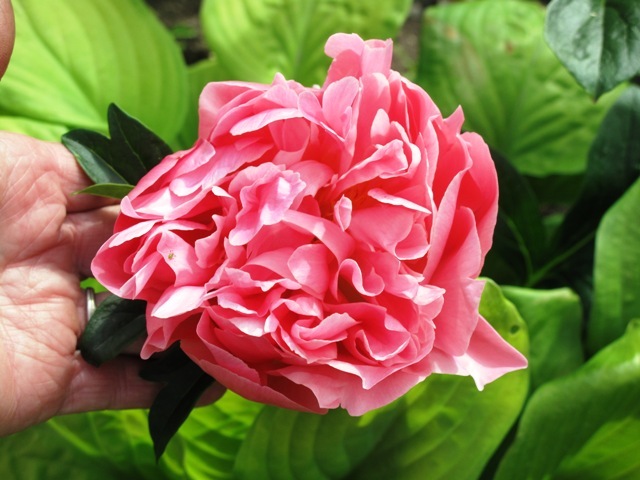 See the Gold Medal collection of the American Peony Society’s top-rated peonies and rare species peonies, including Paeonia anomala. 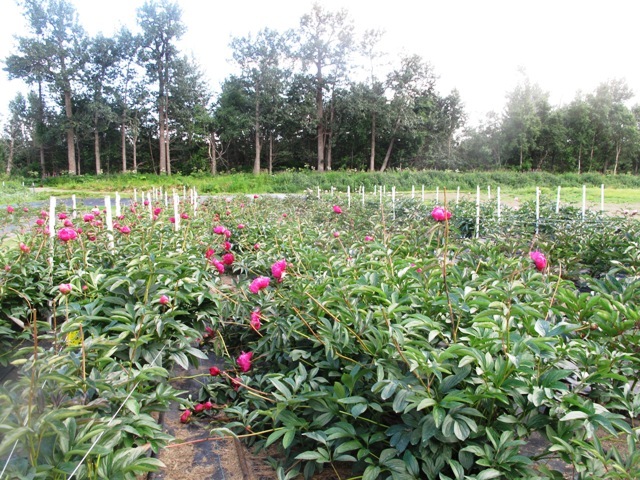 View an extensive collection of peonies on display as part of the cut flower trials led by Dr. Pat Holloway. Ocean Drive and Sterling Hwy. 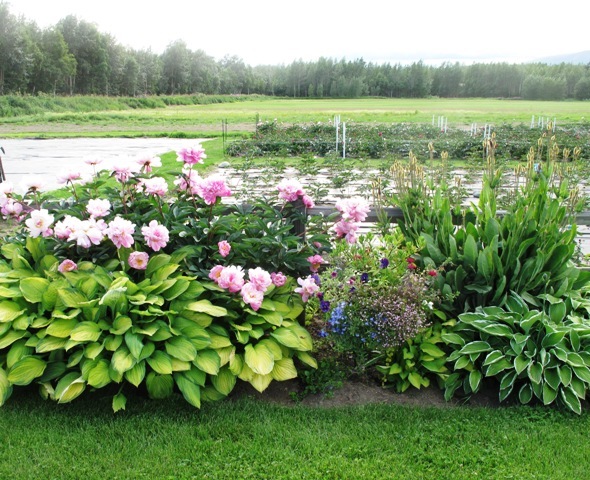 Visit “The Barn,” a collective of four Kenai Peninsula growers for cut peonies, bouquets, peony roots, vegetables and other local food and artwork. Marji and Ron Illingworth of North Pole Peonies (www.northpolepeonies.com) sell beautiful, just-picked peonies in their market stall every Saturday; you may find other flower vendors as well. 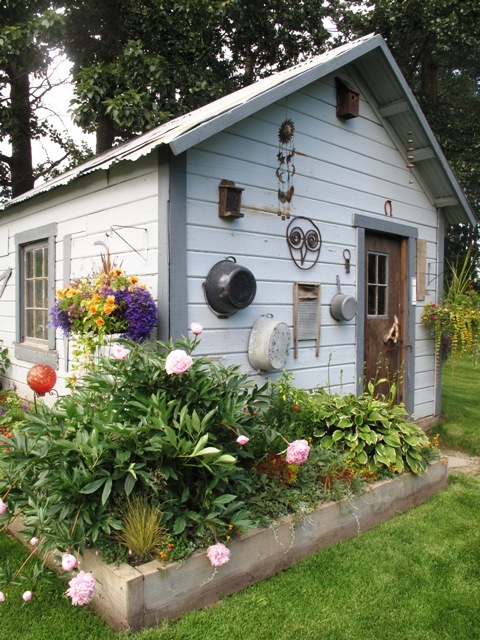 This entry was posted on Wednesday, August 7th, 2013 at 4:36 am	and is filed under American Grown, floral design, General, Plants, Podcast Episodes, SLOW FLOWERS Podcast, Writing. You can follow any responses to this entry through the RSS 2.0 feed. You can leave a response, or trackback from your own site. Fascinating! Another reason to visit Alaska! 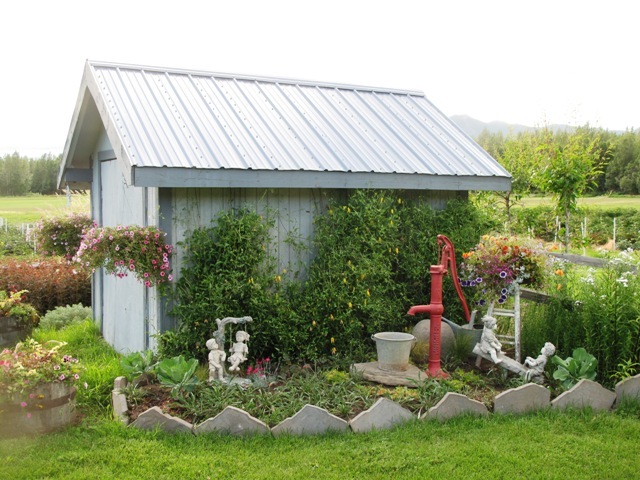 Jean Starr´s last blog post ..It’s Springtime Damnit!